I’m just not feeling it. I was expecting more from Woody Allen’s update – consciously or unconsciously – of A Streetcar Named Desire (1947). The story of a millionaire socialite who loses everything and is forced to move in with her less-fortunate sister Ginger, Blue Jasmine has been praised by many. And sure, it’s certainly better than Woody’s 2012 outing To Rome With Love, but that wasn’t a very high bar to begin with. 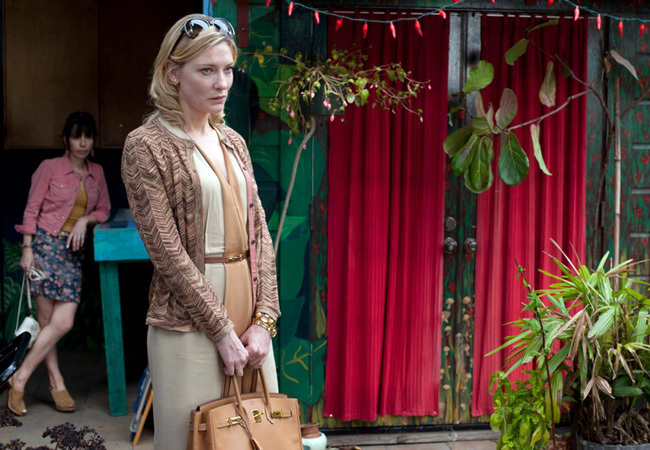 Blue Jasmine feels loose and unfocused, not able to reign in Cate Blanchett’s broad portrayal of Jasmine, all nervous ticks and darting eyes; she fails to bring nuance to the role of a woman slowly losing her mind. The real star here is Sally Hawkins in an understated performance as Ginger: Caught in a working-class life she never wanted, you can see her desperation – and humanity – in every scene. Wish it was enough.